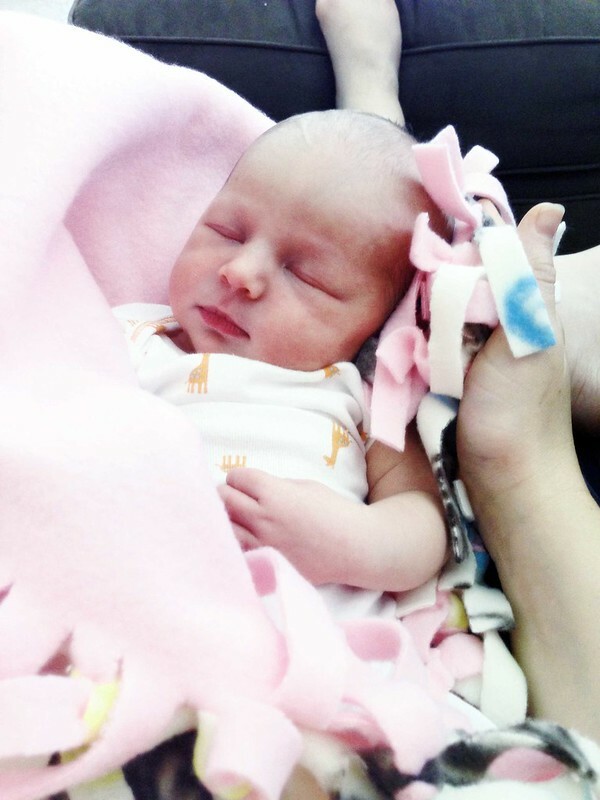 Before we get to popsicles and the mere necessity of investing in a popsicle mold and the green light to slurp your way through sweet sweet goodness and discussing the perfect consistency of frozen treats…I need to announce that I am now an aunt to one more lovely lovely little girl. Seriously, she is beautiful. Beyond so. We are in the realm of gorgeous. 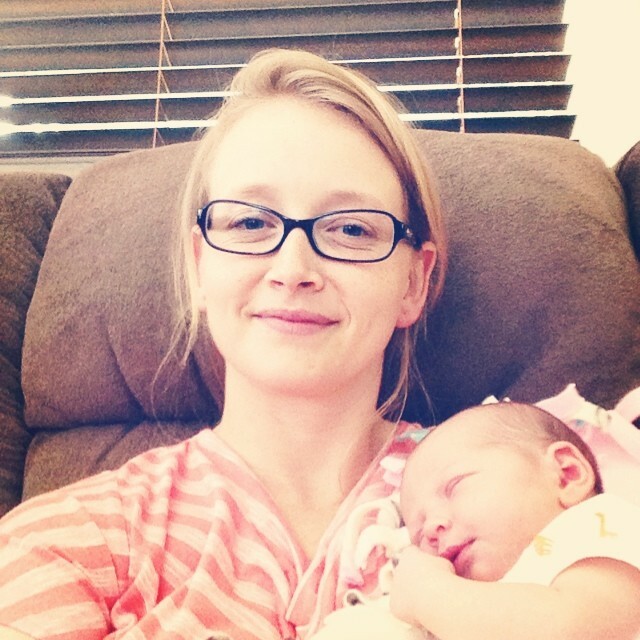 Holding her, I can see my sister in law. I can see my brother. I can only imagine what we will see as she grows. I look at that 2 day old face and I am at awe. Wondering what this little itty bitty person will become. What she will see in her lifetime. There is a chance she will see the year 2100. Seems impossible, but possible all at the same time. It is so beyond what my mind can fathom. I think we like her. I think we will keep her. Now, we can talk popsicles. Almost as gorgeous as day old babes. 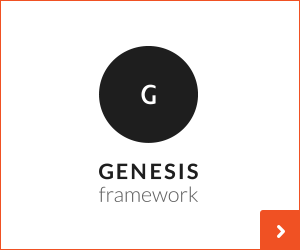 First and foremost…we are gonna need a popsicle mold. Anything to hold a bit of sweet liquid gold and deep enough to hold a popsicle stick. I am thinking…when in a bind, a muffin tin would work or an ice cube tray for mini guys. Or small dixie cups. 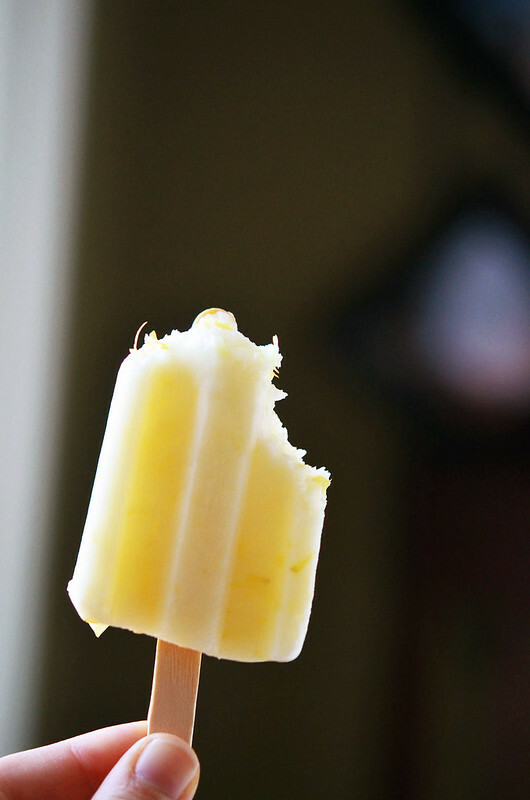 I would go to great lengths for frozen summer treats. Addicted? I think so. This is the one I am currently loving. The popsicle sticks remain upright and straight-ish, each mold can be removed from its main structure – which made extracting the popsicles from the molds and clean-up a breeze, and I really just love the final shape of the popsicle. The little things, people. The little things. 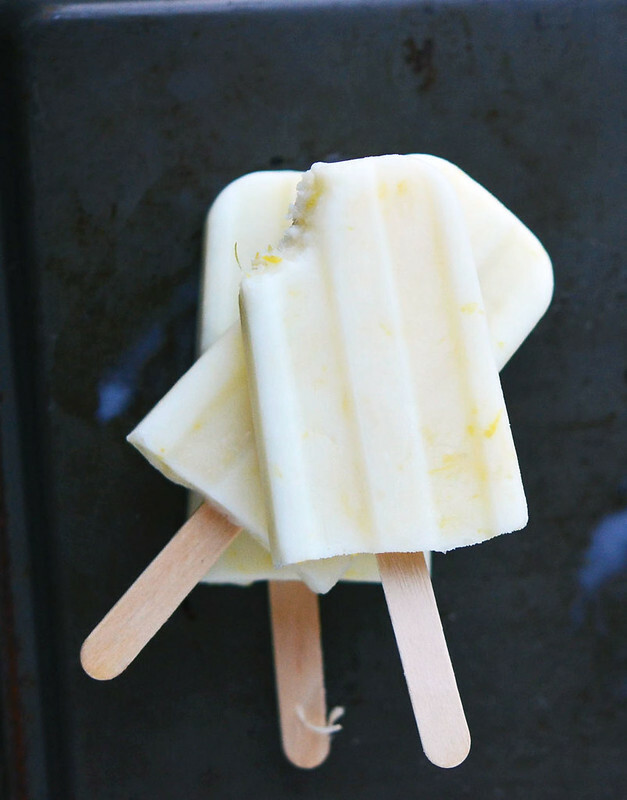 Lets get to the nitty gritty of this popsicle…because yeah, I used buttermilk. Call me crazy – it’s cool. I thought I was headed straight towards destruction, as well. 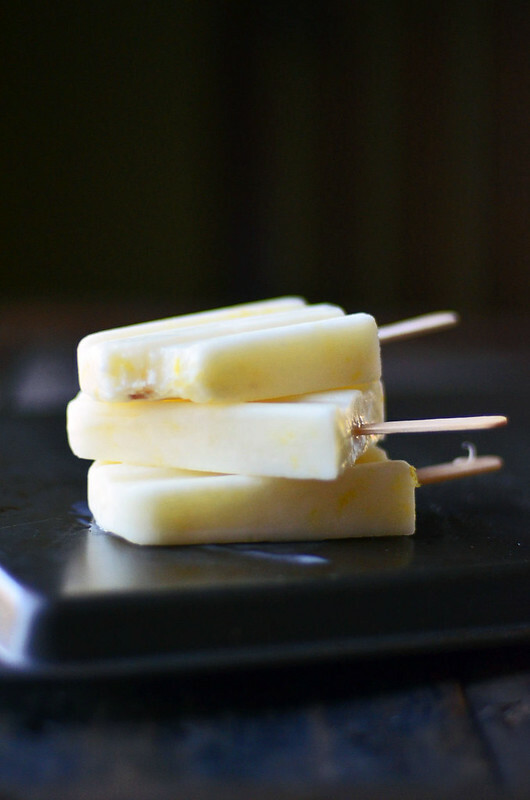 But it was either try these popsicles or have buttermilk go bad, because it was HOT and I wasn’t about to turn on the oven to bake a cake or a pie or biscuits…which is my normal plan of action when I have buttermilk that is a day away from the garbage disposal. And yea, I know I can freeze buttermilk in ice cube trays…but you see…I don’t have ice cube trays. But popsicle molds…those I do have. 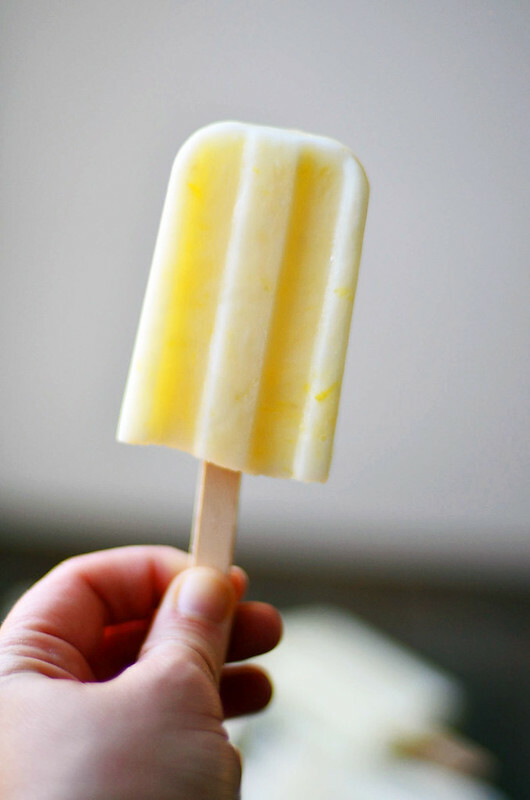 I also had lemons and sugar and according to Bon Appetit…I was mere moments away from the best lemon popsicles I had ever tasted. Sweet, yet perfectly tart. 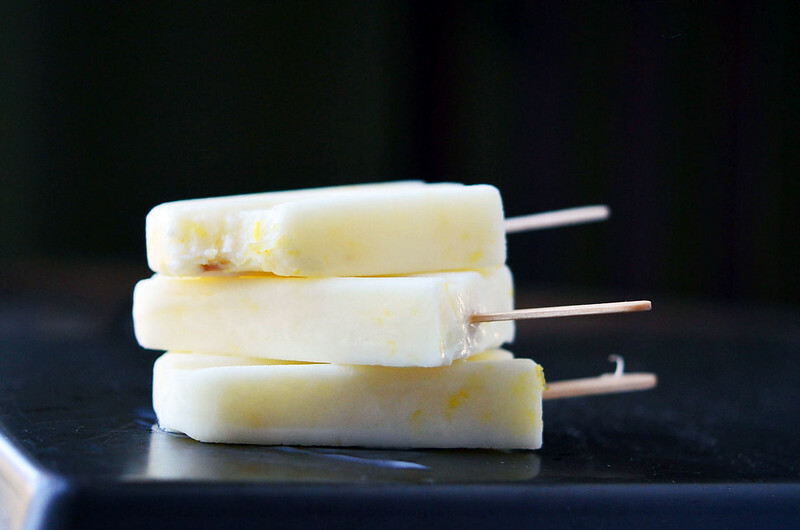 The buttermilk not only rounds out the tartness of straight lemon juice, but it allows for the consistency that I crave in a popsicle. They need to freeze to a solid state, but they need to be able to crush and give away when I take a bit and smash the piece between my tongue and the top of my mouth. You see, I can’t chew cold food. It hurts my teeth…but I can smash. And these smashed perfectly so. 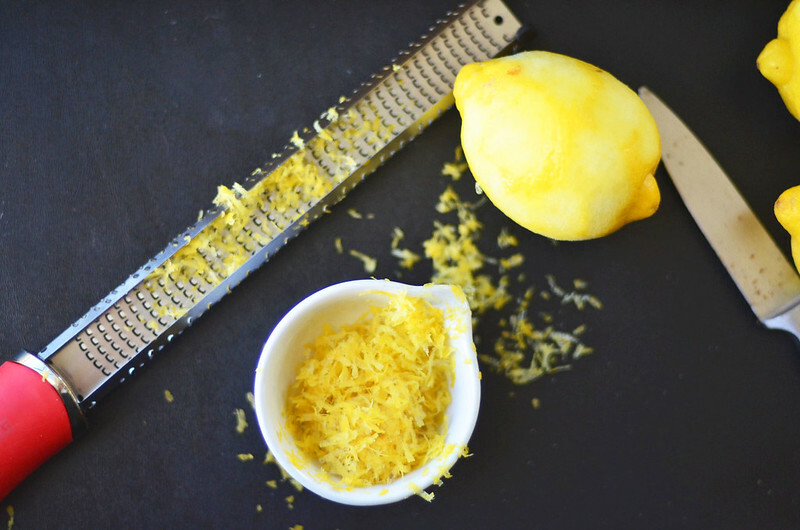 I like the tidbits of lemon zest that float about in each bite, but if you aren’t a fan…then finely chop or give them a few turns in a small food processor. 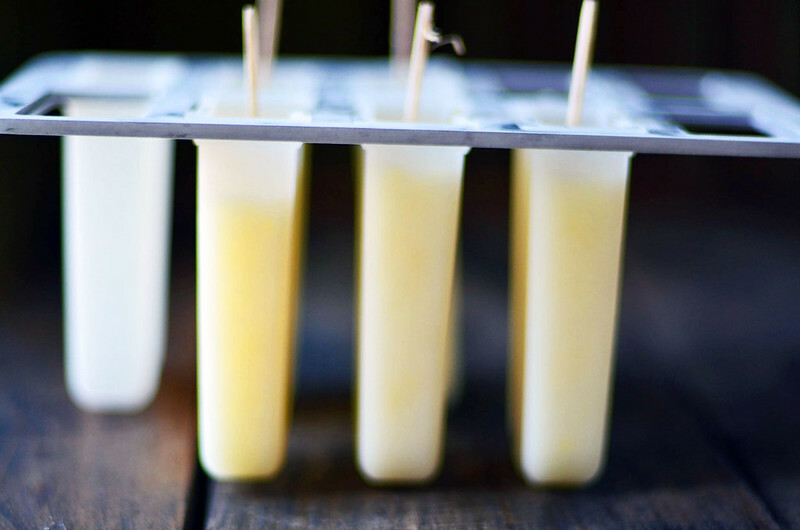 I would urge you to make these if you have extra buttermilk hanging about and don’t fret…they don’t taste a thing like buttermilk…so if you must, leave that info out of the title when you hand them to your kids after a long day at the pool or your friends when they stop by on a sweltering Saturday. It can be our secret! No lemons? Use lime….But I am also thinking frozen cherries might be fun or pineapple. Summer is just beginning…the possibilities are limitless! 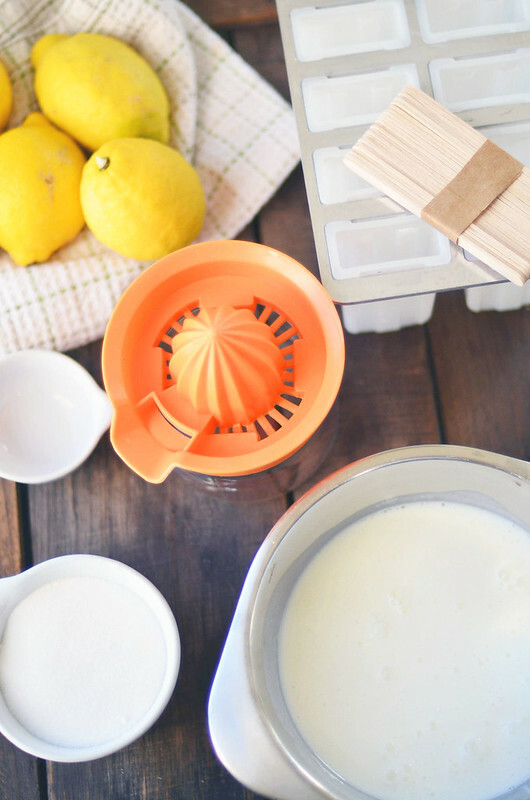 In a medium sized bowl, whisk together sugar, lemon juice, lemon zest, salt, and buttermilk. Whisk until sugar dissolves - test this by dipping finger into bowl and rubbing mixture between pointer and thumb finger and when it is no longer gritty, the sugar is dissolved. Divide mixture evenly between 8 to 10 popsicle molds (depending upon size of mold) and freeze for at least 4 hours. To remove popsicle from mold, carefully run warm water over the outside of mold for a few seconds per side. The popsicle should easily slip from mold.